Chris lives in South Australia, in the North-Eastern suburbs of Adelaide. He is married to Helane, a Lutheran primary school teacher. They have three adult children, Anneka, Jackson and Tennyson. Chris has been a teacher in church schools (Including four years at Luther College in Victoria), but has been teaching for a good slab of his working life, using music as an indispensable tool, in a special school for intellectually handicapped teenagers in South Australia. For many years he has been a member of Good Shepherd Lutheran Church, Para Vista, S.A, where he is regularly involved in the musical side of worship and children’s ministry. He has written many Christian songs, some of which have been included in the ‘Altogether’ series. Chris’ main focus in his writing, singing and performing has been on younger children (Pre school and primary) Chris has produced three CDs, JAM, GO GO GO and THUMBS UP. 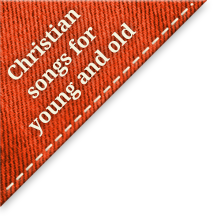 With their strongly Biblically-based lyrics and a wide variety of musical styles (everything from rock to rap, bluegrass to country) these have proven to be popular resources for families, churches and schools. Chris’ live presentations (he calls them ‘Worship Concerts’) are always bright and entertaining, interactive (catchy songs with lyrics on screen, and plenty of audience participation), and thought provoking (some fresh new ways to look at your life as a Christian). Mums and dads and even older people, along with the kids, enjoy being involved.